Care for a friendly game of trollball? What? You do not know what trollball is? Well, it is time you learned. The first you will need is a good sword to use, and none will be better for the game than this aptly named Trollball Slayer LARP Sword! As for the game itself, all you need to know is that if the other team does not have any players, they lose, so cut loose and let them have it! This impressive sword is designed to be a bit blade-heavy, featuring slightly longer blade with a distinctive curve and a swell near the tip that lends speed and force to every swing. In spite of its design, though, the sword is perfectly safe for use, thanks to it having been crafted from fine, ultra-touch foam that does not tear or shred. It is also sealed in a coating of latex and painted to give it a realistic look. Adding to its design is a hand-guard about the hilt, which features a shield emblem on its front. The final touch in this weapon comes in the form of a fiberglass core and a Kevlar cap, which ensure that this weapon bends without breaking on almost all forceful impacts. The weapon has a distinctive and unique look, including a faded gold-toned grip wrapped with suede. The hilt wrapping can be either black or brown. We will send what is available, unless otherwise specified. If you want to know what is available, please contact us before ordering. The Trollball Slayer LARP Sword - 110 cm has an overall length of approximately 42 inches. 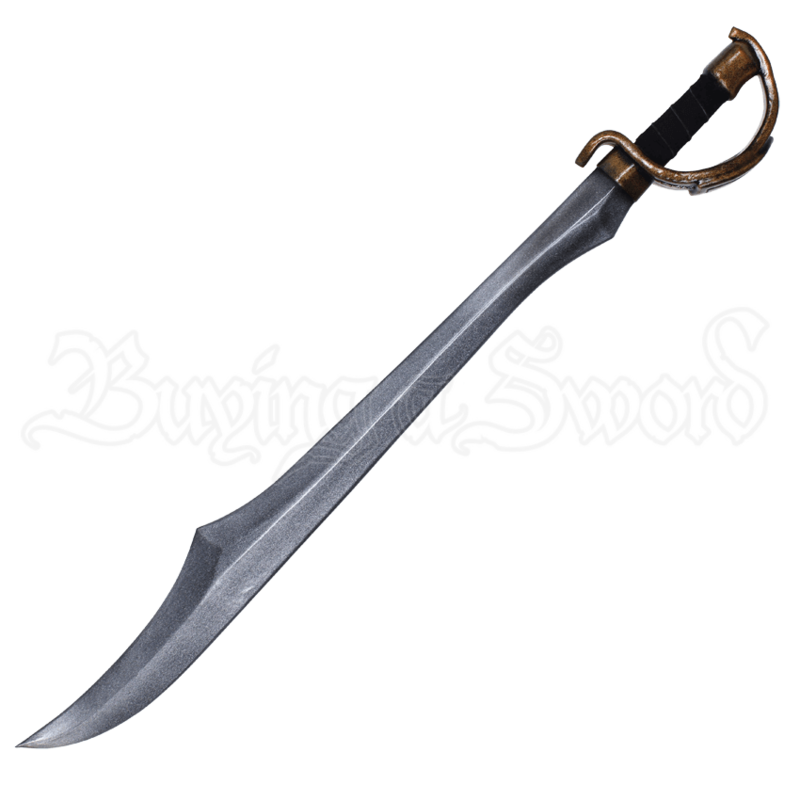 Please be aware that this measurement can vary slightly from sword to sword due its method of manufacture.